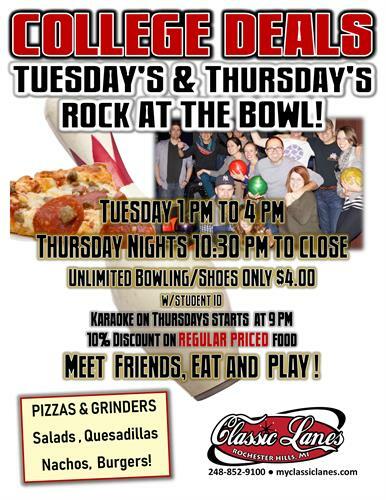 Calling all college students come hang out, have some fun, make some new friends, get some low impact exercise all for only $4/includes unlimited bowling and shoes. Doesn't matter what college just bring your ID. Every Tuesday afternoon from 1-4PM if you time between classes. Everyone needs a study break to relieve a little stress.